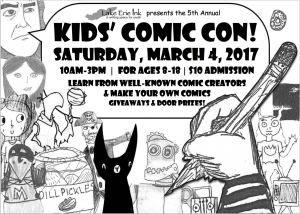 5th Annual Kids’ Comic Con! 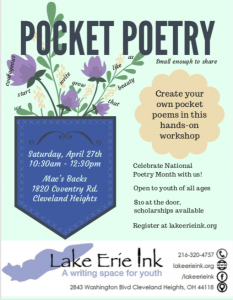 Doors open at 9:30am, and workshops begin at 10am. Costumes are encouraged! Admission is $10 at the door with scholarships available. Lunch will be sold on-site or bring your own. Comics, graphic novels and t-shirts will be for sale. Adults are welcome if accompanied by a child; teachers are welcome with a staff ID. 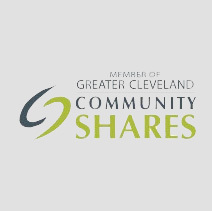 Register online or call 216-320-4757.